TL;DR: Even though the Simple Snap protector yet again did not work for me, it clearly does when a phone isn’t flawed. At some point in the past year, I became cursed. I can’t really pinpoint it exactly, but the past two phones I’ve owned have not worked with glass screen protectors. 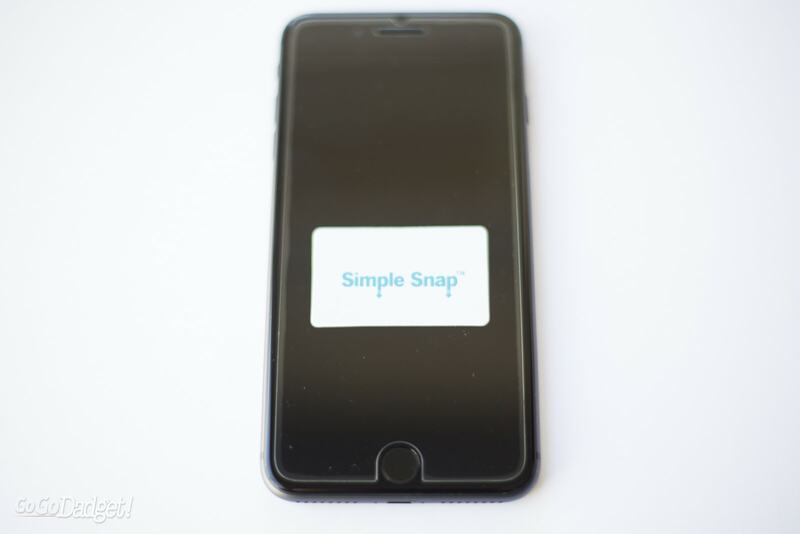 Alleviating my frustration is how fun and easy it is to use the Simple Snap screen protector system, which honestly can’t get any simpler. They were kind enough to send me yet another sample, the iPhone 8 Plus Simple Snap, despite my previous struggle with a flawed phone. Turns out, my iPhone 8 Plus is also flawed. The iPhone 8 Plus Simple Snap screen protector comes hoisted in a plastic scaffolding for easy installation, which aligns the protector perfectly before breaking away. Lifting it reveals a straight and tight screen protector. Unless you’re me, then you’re greeted with the dreaded screen protector “halo,” which has plagued me across multiple iterations of multiple brands. If you’re other people though, it is hands down the easiest way to protect your device’s screen. 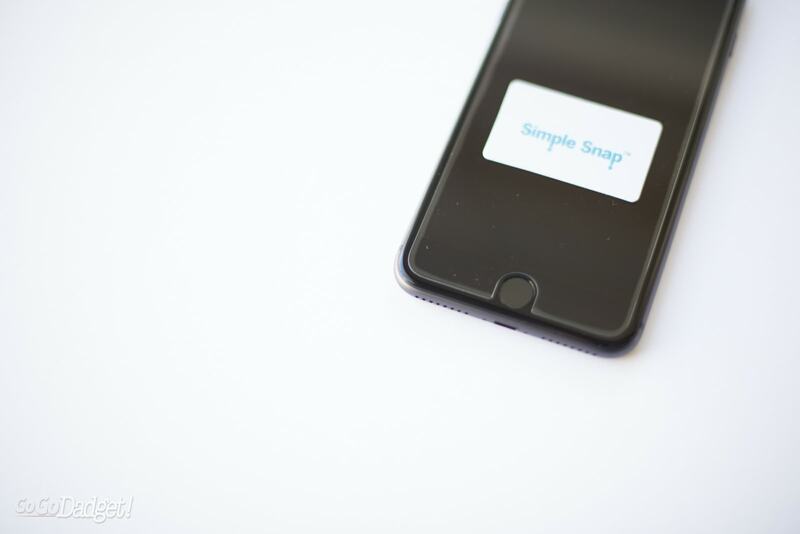 Each iPhone 8 Plus Simple Snap kit comes with screen cleaning tools too to make sure there’s nothing caught between your screen and the new glass. If you buy it directly from their website you get a nice warranty to boot. Despite having a higher price tag than other similar products you can find on Amazon (currently at $39.99 for the iPhone 8 Plus), the ease and quality justify it. We can’t recommend it more than we already do, we just wish it worked for our dumb flawed phones, you know? 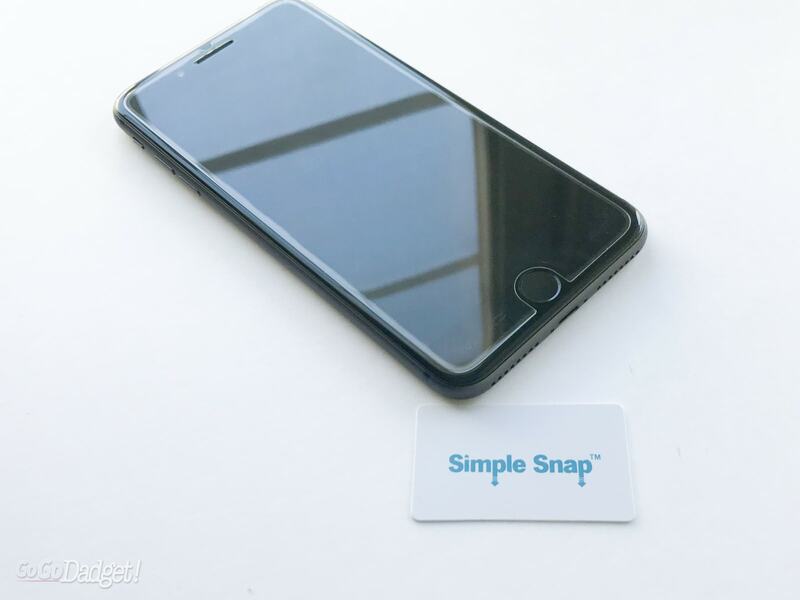 Thanks again to Simple Snap for sending us a sample to put through the ringer! Next Post iPhone 8 Plus Review — Should You Be Jealous Of The X?